What a gorgeous coat and it looks so lovely on you!! That coat is everything! LOVE! That coat is absolutely STUNNING! It's a perfect addition, especially for spring. Thanks for stopping by my blog and commenting. 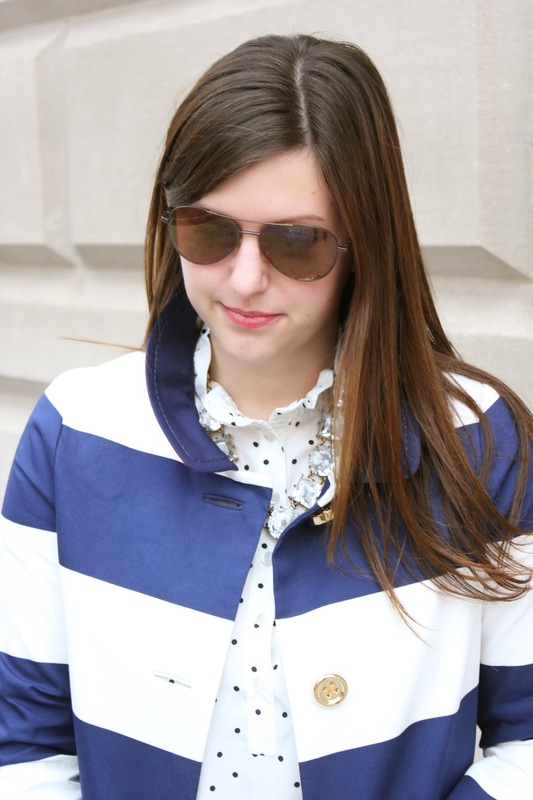 I love your sense of style and now I'm following on Bloglovin'. Hopefully you'll follow back! Super cute jacket! I love it. I adore this jacket! 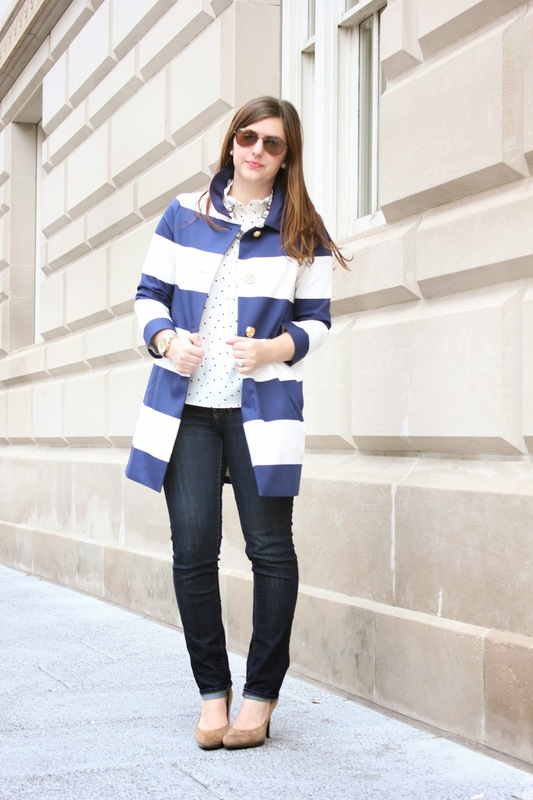 Nothing I love more than navy and white stripes! I love your jackets, this one and the one from the last post are amazing! would you like to follow each other? follow me and I'll follow you back!!! lovely blog!!! 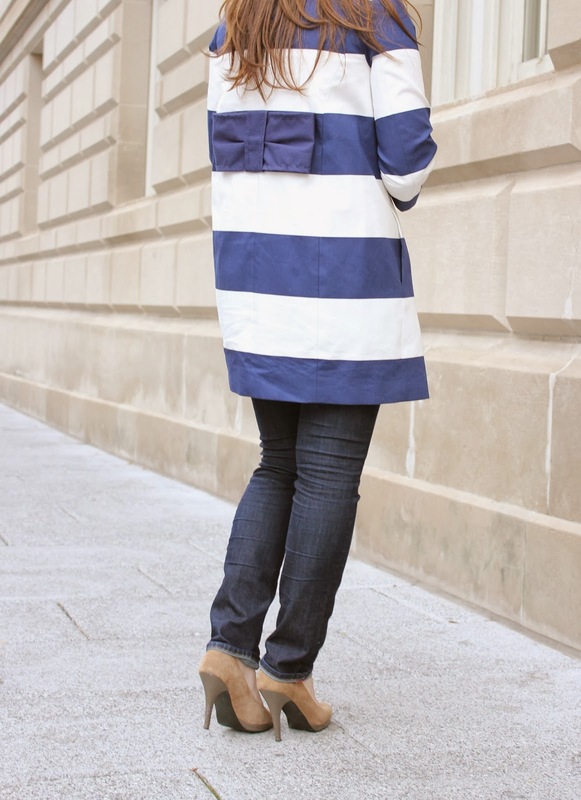 Oh my gosh…love the back of the coat! Super cute look! I'm crazy about Kate Spade! Love how you wore it, the necklace and coat are my favorites!